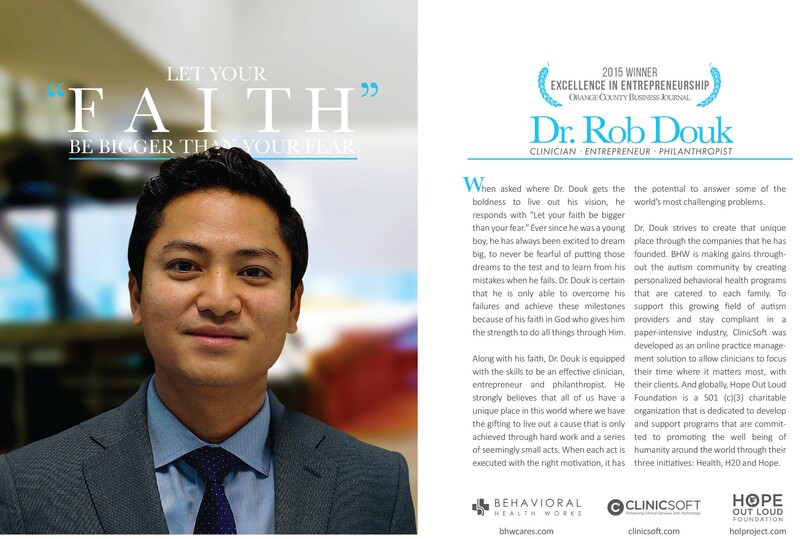 Seven Honored For Entrepreneurship: From a pool of 147 nominees, Dr. Douk and BHW was recognized with the “Excellence in Entrepreneurship” award from the Orange County Business Journal. He would like you all to know that this award is truly a reflection of the hard work and commitment you all have invested into our kids as we combat autism. From the parents, our fellow BHW professionals, along with our partners throughout the medical and education communities, it’s this dedicated team that achieved this milestone together! We couldn’t have done this without every one of you!